Nicholas Matigian is a data analyst (Biostatistician and Bioinformatician). He has 15 years’ experience in analysing high throughput genomic data, including gene expression, methylation, metagenomics, high-throughput mass spectrometry protein profiling and next-generation sequencing data. For 10 years he worked in the ‘wet lab’ producing high throughput data. This hands-on experience in experimental techniques allows him to better design, analyse and understand researcher’s project requirements. 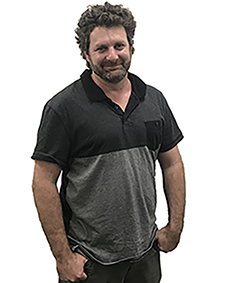 For the past two years, Nicholas has provided statistical support to UQDI and other UQ researchers as part of the UQDI Biostatistics Facility. He has a Bachelor of Applied Science (Biotechnology & Molecular Biochemistry) with Honour’s from Queensland University of Technology. Characterisation of alternate cellular models to investigate the aetiology of neurological disorder.